Who needs movies about plastic Lego bricks that come in a finite number of shapes and sizes when you have mysterious putty that can be shaped into anything, from spaghetti shaped noodles to ... other kinds of noodles. Yes, Play-Doh could be the next toy from your childhood to be made into a feature-length movie, with comedy titan Paul Feig (Bridesmaids, and the upcoming Ghostbusters reboot) in the director&apos;s chair, according to Deadline. While 20th Century Fox is no doubt looking at the success of Warner Bros.&apos; Lego Movie, Hasbro, the makers of Play-Doh are also the toy brand behind another franchise that you may have heard of called Transformers, which has cash raining from the sky at Paramount. I mean, a damn Ouija board movie even made $100 million. Basically, everything is awesome right now when it comes to movies based on beloved toys from your childhood (so get ready for the Nerf movie, the Lite Brite movie and the Nickelodeon Gak movie). 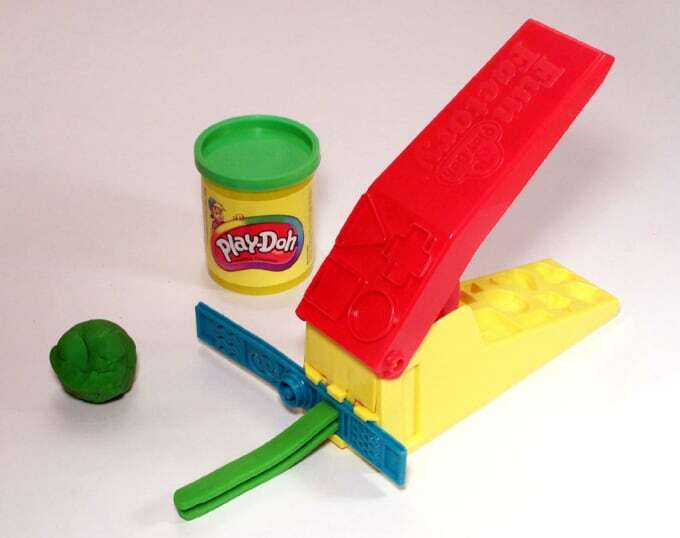 No details yet on a release date for the Play-Doh movie, since it&apos;s still in the early stages.